Some things in healthcare just defy logical explanation. For example, why in an era where we can alter human genes using CRISPR, why are we still using loose leafs of paper to document something as important as one’s immunizations? In other words, why doesn’t our health system place more emphasis on getting these “simple” things right?At Zobreus, we’re committed to doing exactly that. We’ve built technology that allows any clinic to easily upload your shot data to a centralized portal. And instantly, those vaccination records are available to you on your mobile device. All of this in our gorgeous, award-winning user interface. Now, any camp, school, government body, etc. can access your complete, digital shot card instantly from our portal, or you can provide it from your device. Your shot records are “official” since they are entered by your providers (and verified by Zobreus). 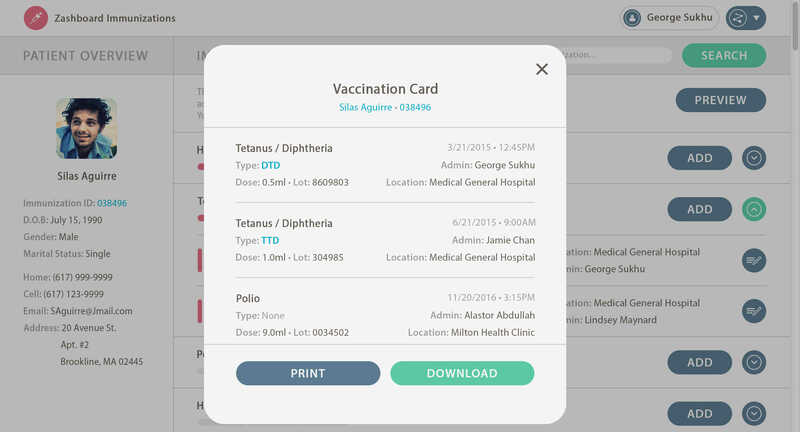 And since, your shot card is universal and comprehensive, it moves with you wherever you go, even if you switch providers (unlike practice-specific shot records).We believe that in the modern era, it shouldn’t be a big deal to have your health records accessible to you whenever you need them. And this is one of many ways we here at Zobreus are making that possible.